Welcome to a new school year! My name is Mrs. Pla, or Señora Pla, and I am the new Spanish teacher at SJWCA. I look forward to working with each one of the students. My goal is to make learning a second language as fun and easy as possible. Grades K – 2 will be meeting in my classroom once a week and will be given a textbook and a workbook. I will be keeping their textbooks in the classroom, but ask that you provide your student with a bag or book pouch, preferably something that zips closed (pictured below), a notebook, a few pencils and crayons specifically for Spanish class. Your student will receive a conduct grade for this class on their report card; however, they will be completing class work, and occasionally, homework. Please be assured all grades will be posted regularly on OptionC. I will be posting their homework on the Waveside site, as well as emailing it to the homeroom teachers, so I ask that you please stay on top of checking the homework there. Please search me by using the username: laurapla. Additionally, the best way to contact me will be via email at lpla@sjwca.org. Thank you and I look forward to making this year divertido! Welcome to a new school year! My name is Mrs. Pla, or Señora Pla, and I am the new Spanish teacher at SJWCA. 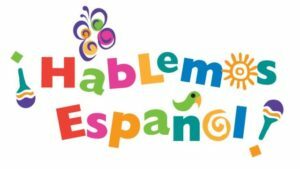 I look forward to working with each one of the students and my goal is to make learning a second language as fun and easy as possible. Grades 3 – 8 will be meeting in my classroom twice a week and will be given a textbook and a workbook, with a partial online component for middle school. Grading for Spanish will be comprised of class work, quizzes and tests, homework, and an occasional project. Please be assured all grades will be posted regularly on OptionC. I will be emailing the homeroom teachers the homework, as well as posting it on the Waveside site, so I ask that you please stay on top of checking the homework there. Please search me by using the username: laurapla. Additionally, the best way to contact me will be via email at lpla@sjwca.org.